Itsukushima-jinja Shrine in Miyajima island, Hiroshima prefecture is the Grand Head Shrine of the approximately 500 Itsukushima-jinja Shrines throughout Japan. 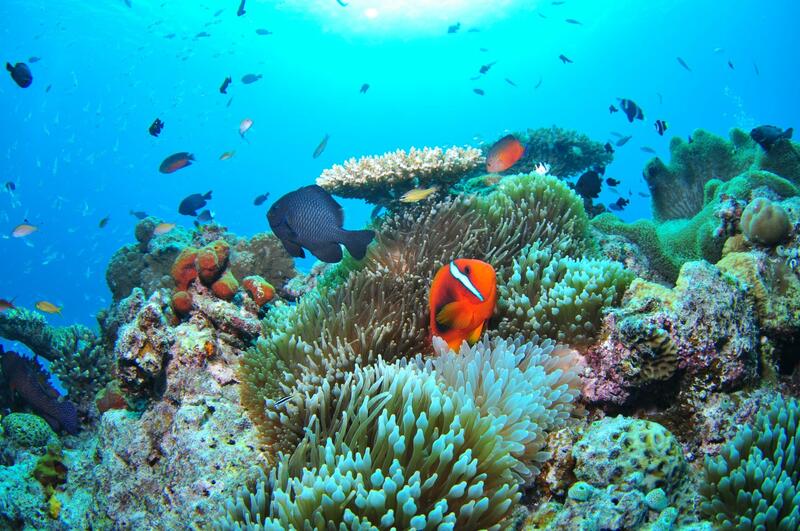 It was registered as the world heritage of UNESCO in 1996, and has become a popular famous place which a tourist visits from all over the world now. 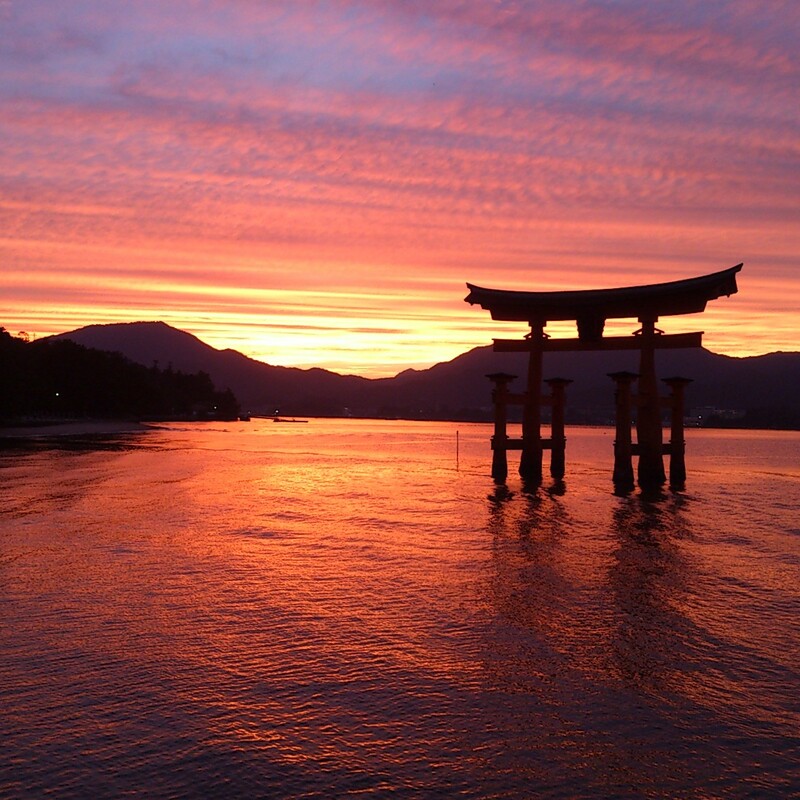 Itsukushima called “Miyajima island in Aki Province” is famous also as one of the three most famous views in Japan with Matsushima in Miyagi, and Amanohashidate in Kyoto. 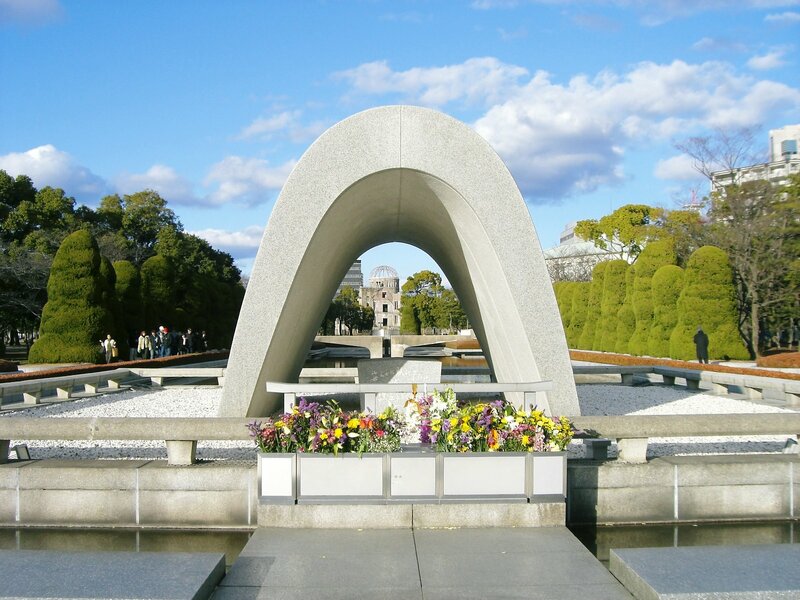 The beautiful scene could be said not only as Hiroshima but as the property which Japan is proud of. 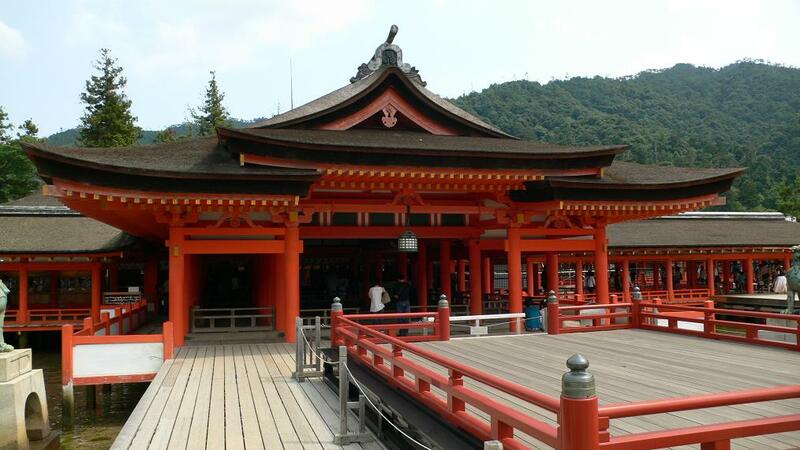 Itsukushima-jinja Shrine was founded in 593 years which was the Empress Suiko era. 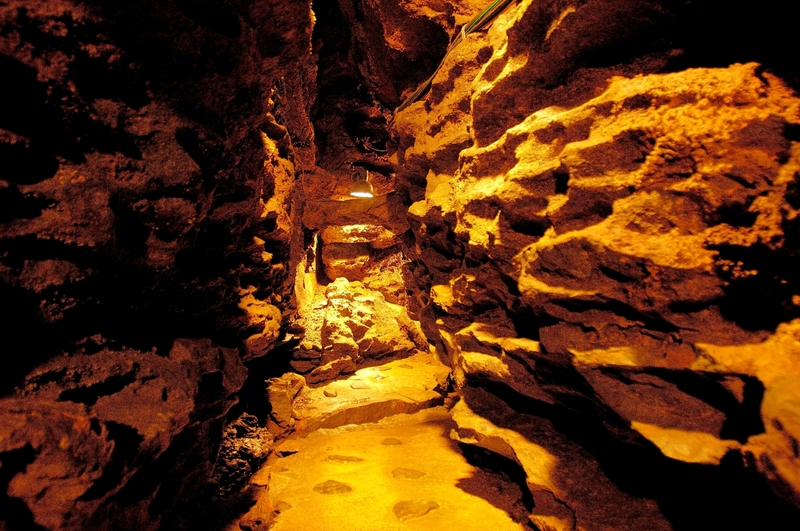 It is said that it was founded by Saeki no Kuramoto who was leading powerful clan of this district. It has been proud of 1,400 years of history since its foundation. Seemingly, it has continued from the time when Prince Shotoku was alive. At the time of Buddhism having been introduced into Japan, folk beliefs which were the origin of Ancient Shinto and Shinto were based on the concept of nature worship, and this had an animistic element that regarded every object as occupied by a spiritual entity such as a god (deity), a spirit, or a soul. 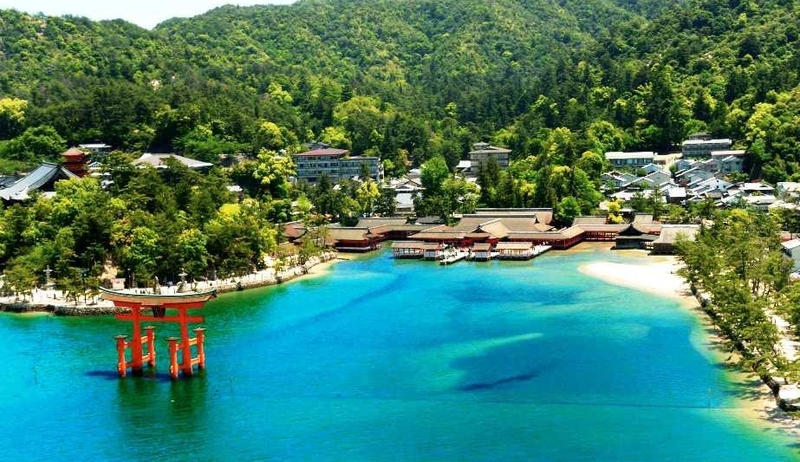 As for here Miyajima (Itsukushima), the whole island was worshipped as an island of God, so from the reason that it was too awful to construct on the land of the island, the shrine seemed to be built in the place that the rise and fall of the tides. 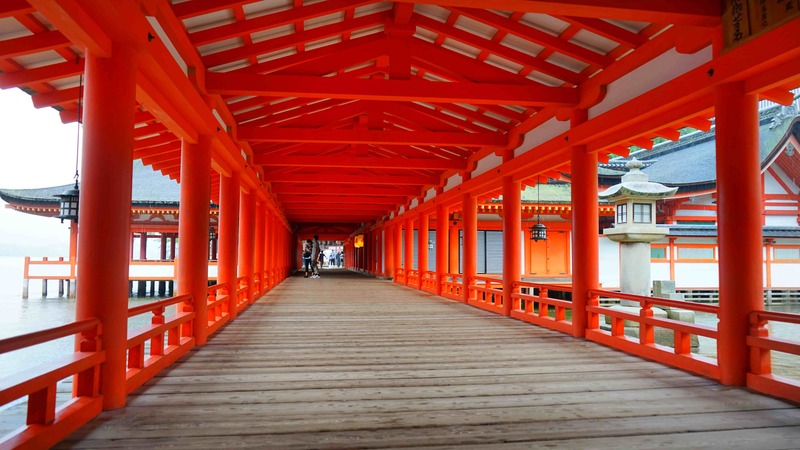 The greatest feature of Itsukushima-jinja Shrine is ebb and flow which come every 6 hours every day, and is that the scene of the shrine changes entirely. After all it is the tidal hour that can be realized the beauty of the main shrine as it was exposed to praise from the Heian era, but at the time of ebb tide, you can walk to near the root of great torii, and can see from a short distance. Moreover, the lighting performed from 30 minutes later of the sunset to 23:00 through the year is also unmissable. 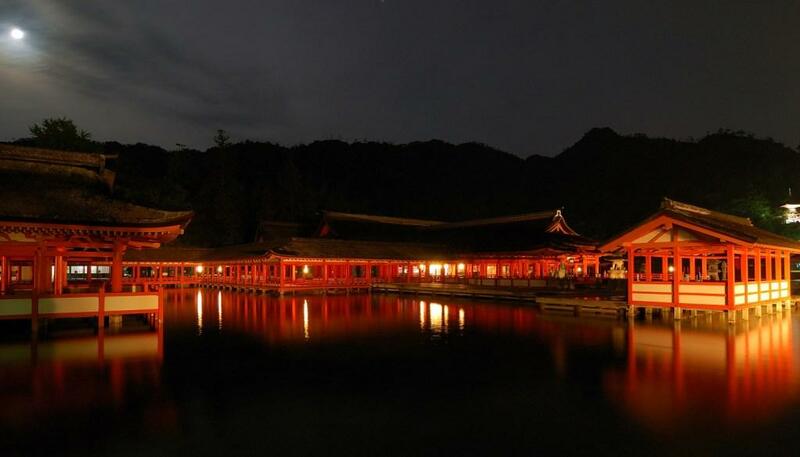 Unlike daytime, a solemn atmosphere of the shrine-pavilions group wrapped calm could just be called unparalleled view.